A lot of parenting goes on day-to-day as we casually interact and communicate with our kids. This interaction has to do with managing life and proceeds without incident. Some interactions, however, are more significant because they are emotionally charged and potentially fraught with conflict. I call these key moments–situations or events which present a challenge and demand our response. We cannot not respond to a key moment. The question is, are we aware as we respond or do we simply react in a knee-jerk kind of way? Do we communicate, during these key moments, in ways that help our children learn and grow? Here are examples of key moments. Such key moments are important because our children learn lessons depending upon how we respond. When we handle them poorly, we interfere with our children’s ability to learn from their experiences and make good decisions. Handling them well means we’re behaving and communicating in ways that promote their growth and development. We have key moments every day. Some are minor and we handle them easily. Others, however, are (or seem) big and trigger negative emotions (fear, anger, helplessness) that knock us off balance, make us forget what is most important, diminish our enjoyment of our kids, and cause us to react in hurtful ways. Here is what happens. An event occurs and, consciously or unconsciously, we make a choice about how to respond. If unaware or if strong emotions overrule our reason, we’re likely to react from fear or hostility, leading us into a “Cycle of Weakening Behavior” in which we either over-manage or over-indulge our children. As the diagram above illustrates, negative consequences flow from these behaviors—ill will, mistrust and power struggles, low self-esteem, diminishing of personal responsibility, problems go unsolved, etc. Unfortunately, it is all too easy to get cycled into these weakening behaviors, which rob children of their ability to be self-governing and cause them to be externally driven. These reactions impose control on our children from without rather than building responsibility and self-discipline from within. Although not always easy, we can choose to respond to a key moment from faith, love, and trust. As we do so, we communicate with our children in ways that help them grow and strengthen our relationship. The goal is more than getting compliance or solving the immediate problem. It’s to build trust, enhance self-worth, help children think for themselves, solve problems, and take responsibility for their thoughts, feelings, and actions. The consequences are goodwill, trust, high self-worth, and an increase in personal responsibility and ability of a child to manage his or her life. Lecturing: Moralizing and telling children how to think, feel, and act, which builds resentment and deprives them of the opportunity to think for themselves. Arguing: Getting caught up in verbal battles, trying to convince each other that we’re “right” and they are “wrong,” which only leads to more entrenched positions. Criticizing: Finding fault and making negative comments about their character or behavior to try to get them to do what we want. Getting Mad: Yelling, hitting, fuming, etc. Expresses parent’s powerlessness and causes the child to feel resentment and shame. Giving Advice: Telling kids how to solve their problems. Too much of this does not help kids learn to solve problems and think for themselves. Comparing: Pointing out differences between one child and another to either make him feel good or get him to change. Blaming: Accusing another of negative motives or attributing a negative situation to her. Threatening: Verbally expressing an intention to impose a severe consequence on a child, often with no intent to carry it out. 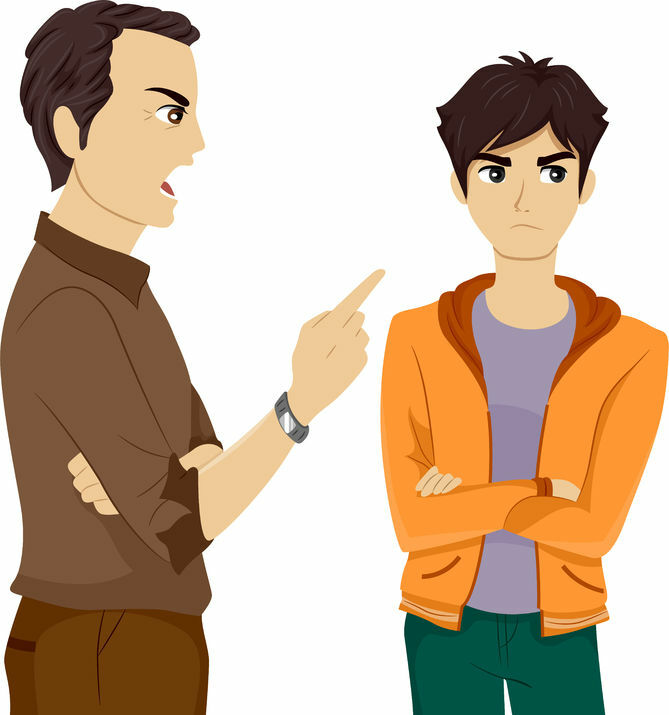 Nagging: Constantly scolding, reminding, or complaining to get a child to do what you want. The second form of weakening response to a key moment is over-indulging, which also has many forms. Hovering: Being overly aware and responsive to a child’s every move. Failure to allow her the physical or emotional space to make choices or act on her own. Sympathizing: Communicating pity for what a child is going through. Different from empathy. Rewards him for feeling bad rather than taking action. Avoiding: Withdrawing into ourselves and leaving our children without support, structure, or guidance because we are uncertain or overwhelmed by their needs. Catering: Giving in to a child’s whims and wishes. Bending over backward to keep him happy or making sure that things go his way so he won’t be upset. Fixing: Solving a problem or doing for a child what she could and should be able to do for herself—making a bed, choosing clothes, talking to a teacher. Rescuing: Trying to make a child feel better by undoing consequences or not allowing a child to face the consequences of his actions or choices. Protecting: Preventing a child from facing the realities of life by not letting her engage in experiences that involve social, emotional, or even physical risk. Flip-flopping: Setting a boundary and then backing down because it was not convenient, the kids pushed back, or you thought you were being harsh. Pleading: Begging kids to do what you want rather than expecting and holding them accountable. Bribing: Making a promise to do something or give the child something to get him to do what you want, something he should probably be doing anyway. Giving in: Wearing down as you hear whining or complaints. Letting a child do/have what she wants to avoid enforcing a boundary. It is easier. Here’s an example of a key moment. Let’s watch two parents respond to their son in harmful ways. Steven Carlson was doing well in school until Mrs. Bowman’s eighth-grade English class. Steven failed the class and came home despondent, afraid to tell his mother what had happened. Mrs. Carlson probed Steven about what was going on and finally heard his forced, halted confession. How common is this reaction? Is Mother’s sympathy helping or hurting? What is Steven learning? Now what is happening? What are the consequences? Is it more likely to be helpful or harmful to Steven? Their relationship? There is no doubt that Steven’s parents have good intent. They love their son and want him to succeed. In fact, it’s usually because we care deeply that we step into parenting traps that are weakening. We’re doing our best to get our kids to do what we believe they should be doing and yet don’t see how we’re robbing them of self-responsibility in the process. Although aware that the consequences of over-managing and over-indulging our children are harmful, we slip into these patterns for a number of reasons. First, we’re unaware of what’s happening. We’ve not had a framework or language to understand what’s going on in our interactions. We don’t see the relationship between our behavior and its consequences. Second, we get hooked emotionally when our kids are behaving in selfish, immature, or threatening ways. The feelings happen so quickly that we’re hardly aware of them (or the thoughts that drive them) before we’re acting out of fear or anger. It seems almost impossible to override the emotion with a more rational response. Third, we get payoffs out of these behaviors. By payoffs, I’m talking about short-term rewards that reinforce our weakening communication. A mother who yells gets compliance. A father who gives in doesn’t have to deal with whining (at least for the moment). A final reason we use these strategies is that we don’t know a better way. We’re likely to be doing something similar to the way we were raised. It seems natural. We haven’t learned that there may be a set of skills which we can learn that will lead to better outcomes. Remember the popular definition of insanity? (Continuing to do what we’ve been doing and expecting a different result.) If we want different results, then we have to behave in a different way. The Key Moment Model suggests that there is a moment of choice when we make a decision about how to respond. If unconscious we don’t have a choice. We simply react. But as we become more aware, we begin to realize that our responses don’t have to be automatic. We can choose to respond in ways that help our children learn and grow in responsibility and emotional maturity. Creating Safe and Trusting Conditions (empathy) is creating an atmosphere of love, empathy, and respect. It begins with being curious and listening to their point of view. This lets children know that we value and accept them even though they have weaknesses and make mistakes. Such an atmosphere is deeply nourishing and allows our children to feel good about themselves and explore their thoughts and feelings as they learn to make good decisions. Speaking the Truth (honesty) is disclosing our own feelings or point of view, or giving feedback and getting concerns on the table so we can talk about sensitive topics in a way that helps our children and relationships grow. The intent is to help our children face up to reality, make good decisions, and learn to cooperate with others. Instilling Responsibility (responsibility) involves skills that teach our children to become self-governing and claim ownership of their lives. They are an alternative to telling, rescuing, or doing for our children what they need to learn to do for themselves. They help children step into the driver’s seat of their lives. Although there are a number of specific skills associated with each of these three themes, for now, I’d like to illustrate the themes by going back to the example of Steven Carlson and his parents. Let’s suppose that the Carlson’s talk and realize that their approaches were not helpful and they need a better approach. They decide to speak to Steven again. Here’s how it might go. They go down and knock on Steven’s door. Steven, after a pause: “It’s a free country,” he states coldly. Steven is lying on his bed, face down in a pillow as his parents come into his room and sit on the edge of his bed. Steven is quiet, avoiding eye contact. Mom: “So how do you see it? Parents are quiet, each tearing up. Steven complains for a few minutes, with his parents listening and reflecting his feelings. All three brainstorm several options—doing assignments, asking for help, talking to his teacher, etc., until Steven comes up with a final plan. As you can see from the “do-over,” Steven’s parents used all three themes. Dad was honest by admitting that he’d come on a little strong. Not only did his honesty keep him internally congruent but also showed vulnerability and his willingness to take responsibility for his behavior. Most importantly, both Mom and Dad created safe and trusting conditions by listening and expressing empathy toward Steven. Their listening helped Steven feel validated. It also made it safe for him to open up and talk about his deeper concerns. Finally, his parents asked Steven questions, rather than telling him what to do or solving his problem for him. This helped Steven think more deeply about what was happening and begin to take responsibility for his school work. Be aware that this example doesn’t cover the range of skills used in good parenting. But they do help you see that there are better alternatives to the usual tendencies of over-controlling and over-indulging that come so naturally. 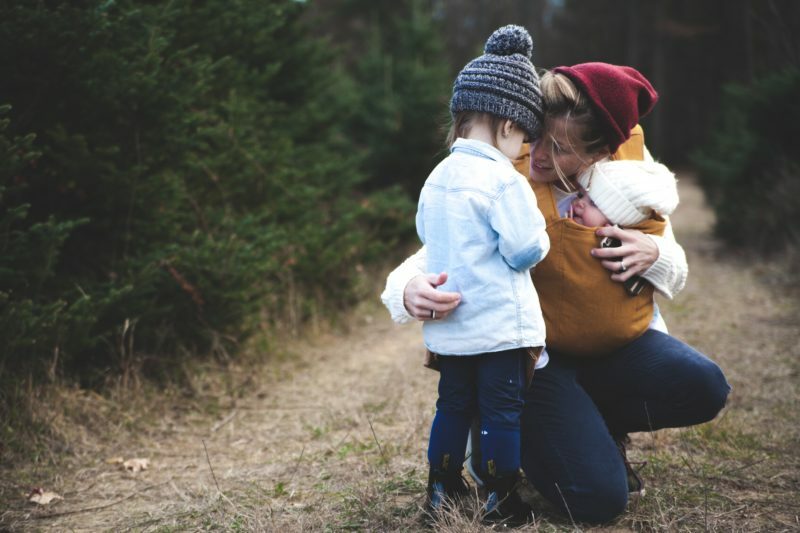 Nurturing parents allow themselves the flexibility to employ different skills, depending on the child, the context, and the outcomes they desire. In fact, these parents are able to step back from a momentary interaction and look at the big picture—promoting the growth and development of their children more than simply solving the immediate problem. I’ve taken these concepts from my book and online video program entitled Raising Responsible, Emotionally Mature Children. I invite you to read the book, which has made a huge impact on thousands of parents. Or, purchase my online video program, which will be on a Black Friday sale, by clicking here. By the way, the video program also comes with a downloadable audio MP3 file so you can listen to the program on the run. And if you liked this article, please share it on social media or with your family and friends by clicking one of the social media buttons.